11"w x 8.5"h Wall Mount Ad Frame - Sign Holder. For anywhere you need to permanently display signage, notices, instructions, directions, etc. Simply slide your insert into the sign holder from the top or sides. Double-Sided tape included. 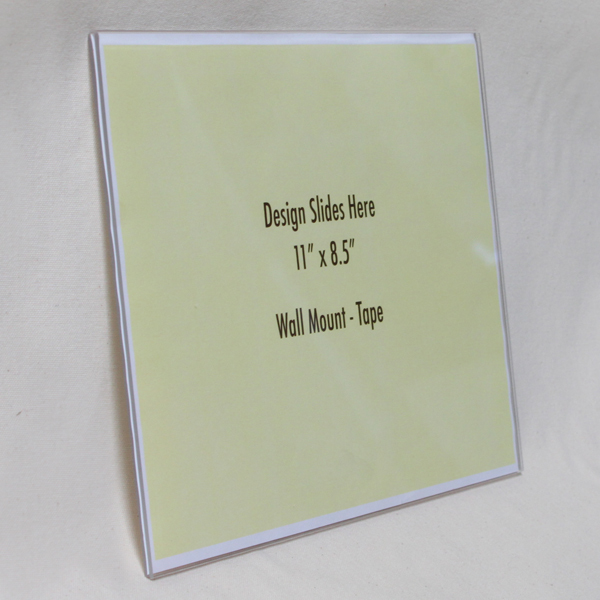 Our clear wall mount ad frames are durable and cost effective. Optional logo imprint available. 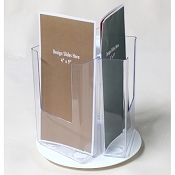 Add a business card pocket or tri-fold brochure pocket for little cost.